On September 1st, 1985, something very important happened that literally changed the world. 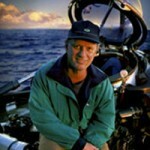 A man named Bob Ballard, in a ship that was exploring the ocean, found a long lost ship that the world had forgotten about. 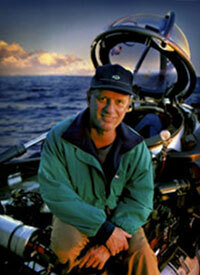 Dr. Robert Ballard found a ship that he had dreams of finding for a long time, and it was the RMS Titanic. 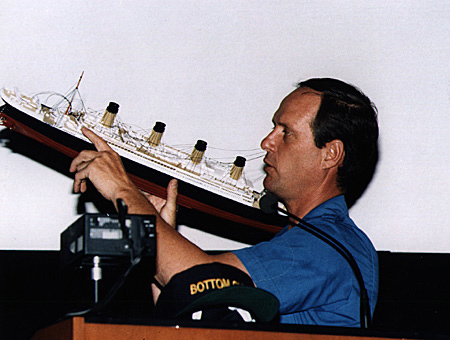 With the help of the US Navy, and the Woods Hole Oceanographic Institution, Ballard used a submersible sub, and he was able to not only take photos of the long lost ship, but was actually able to go down to explore the Titanic up close. 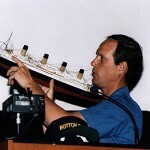 However, what Bob Ballard did was extremely rare, but now, almost 32 years later, what Ballard was able to do may be available to the general public. 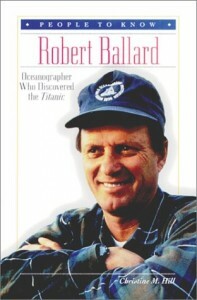 Since Dr. Robert Ballard discovered the wreck of the Titanic in 1985, the world once again caught Titanic fever. As soon as Ballard, and his oceanographic team got home, they had a large press conference. In front of the different news media outlets at the time, Ballard explained how he was able to find the long lost ship that had been since for 73 years. Ballard also revealed the condition the ship was in, which was not good, and how she had been cut in half during the sinking process. This news came as a great shock to the public because a majority of the witnesses that horrible night testified that the ship sank in one piece. Even Second Officer Charles Lightoller, the only senior officer to survive the sinking, told the Senate, and testified at the British Inquiry, that he saw the ship go down intact. However, considering what happened to Lightoller during the sinking, he may not have had the view of the sinking that he had thought he had, especially during her final plunge. Lightoller had actually gotten pulled under the water when the ship went down, and when a burst of air came out of the bow, and this enabled Lightoller to swim to the surface. Because Lightoller was a senior officer, what he told about that night was believed, and was thought to be accurate until Bob Ballard found the wreck. Ballard’s announcement of the Titanic being split in two was incredibly shocking, and everything about the wreck from then one would slowly change as her rusted remains were explored. After Ballard found the Titanic, he did not return to see her until one year later. However, this time, it was the popular magazine, National Geographic that commissioned Ballard to return to the place the Titanic sank, and they wanted pictures of it to put in its magazine. 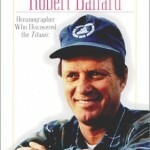 Ballard went to the bottom of the ocean, and the pictures were later published in the December 1986 issue. After Ballard returned to shore, there were no more explorations of the Titanic until 1987. Between 1986 and 1998, there were many dives to the wreck of the RMS Titanic. Not only where the expeditions to investigate what actually happened that night, but it was for a controversial purpose. While the main explorations did answer some lingering questions about that fateful night, including how she struck the iceberg and how she broke apart. In 1987, over the course of a few months, the submarine named Nautile, explored the Titanic for the purpose of salvaging the ship. From July to September of 1987, over 1800 objects were brought to the surface from the debris field of the once legendary ship. The items, which ranged from dishes to luggage, was taken to France for restoration, and eventually, the items would go on display all around the world, an d even to this day, people can see these very rare items. The many dives of Titanic is still a debate to this day, but people have flocked to the special exhibits just to see a glimpse of a time that was so long ago no one is alive from it anymore. The very last survivor of the Titanic was Millvina Dean, who was a nine week old baby on board the ship, and she passed way in 2009. 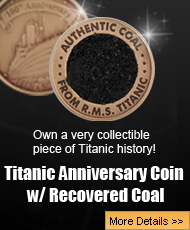 However, since so many people go to see the Titanic exhibits, plus flock to the museums in Pigeon Forge, Branson, and Belfast, would people be interested in seeing more than just the artifacts? 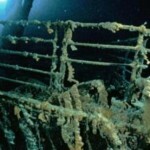 Would people want to see the wreck of the Titanic herself before she dissolves away completely? Would people be willing to drop a lot of money to go in a small submarine down to the bottom of the ocean where death can happen in an instant? In the next post, which will be published soon on Titanic Universe, the idea of exploring the Titanic will be discussed, and one company is offering the chance of lifetime starting in 2018.